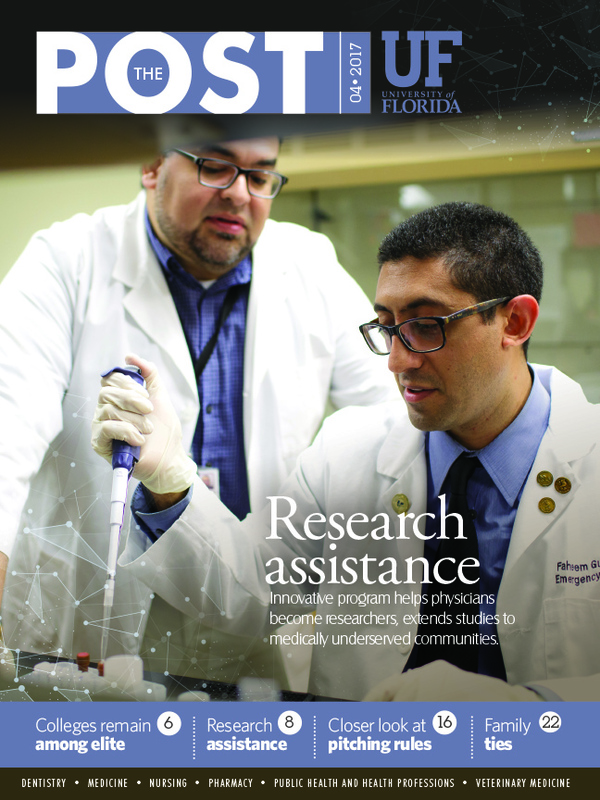 The UF College of Medicine held firm in its No. 40 ranking among 140 medical schools in the country and is No. 16 among medical schools at public universities, according to the U.S. News & World Report rankings. UF also remained the highest-ranked medical school in Florida. Last year, UF achieved the No. 40 ranking, the highest ever for the medical college. The UF College of Nursing’s doctor of nursing practice program also maintained its standing as one of the highest-ranked programs, ranking No. 44 in the country and tying Florida Atlantic University for first in the state. “Our commitment to world-class research and education has been validated yet again by medical school leaders throughout the nation. The continued growth of our National Institutes of Health funding is a direct reflection of the relevant and promising research being pursued by our faculty,” said Michael L. Good, M.D., dean of the UF College of Medicine. To determine the rankings, multiple assessment surveys were sent to administrators, deans and faculty members at accredited programs and universities in disciplines that include medicine, nursing and other health professions. The rankings were determined in part by surveys sent to administrators at 1,970 graduate programs as well as reputation surveys distributed to 16,500 academics and professionals.